The Republic of Malta is a Mediterranean archipelago approximately 50 miles south of Sicily. The small state is a popular tourist destination, with a sunny, subtropical climate, beaches and a vibrant nightlife. Malta also boasts 7,000 years worth of cultural and religious attractions from various civilizations, including the Phoenicians, Romans, Arabs and the British, that occupied the country. 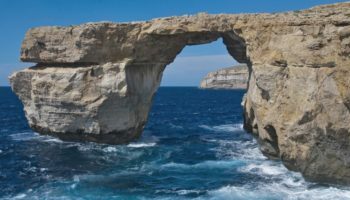 Malta is actually the largest of the seven islands that make up the Republic of Malta, Gozo and Comino are the only other inhabited islands in the archipelago. Comino, nestled between Malta and Gozo, is a very tiny island with just one hotel. Gozo, with its spectacular coastlines and ancient temples and churches, is popular with tourists looking for a quiet, relaxing vacation. Malta’s Valletta, the capital, is a must-see for first time visitors; the harbor city is rich with 16th century UNESCO World Heritage sites. 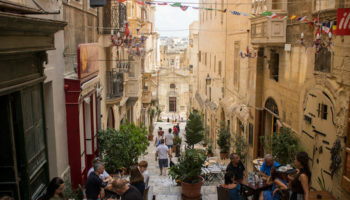 The Malta Experience is an hour-long show highlighting Malta’s magnificent landmarks, ideal for tourists about to embark on a sightseeing tour.